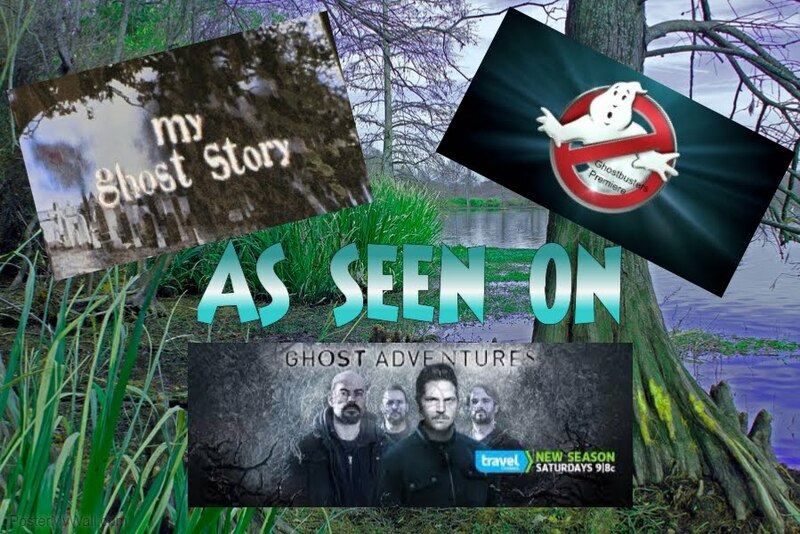 Becky Vickers(BECKS) - Everyday Ghost Hunters/Goatman's Bridge Ghost Tours: HAUNTED RAILROAD TRACKS IN SAN ANTONIO, TX-DO THE CHILDREN THAT DIED HERE PROTECT YOU FROM THE SAME TRAGIC FATE??? 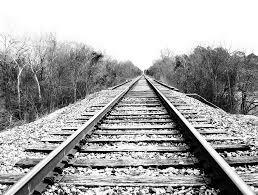 HAUNTED RAILROAD TRACKS IN SAN ANTONIO, TX-DO THE CHILDREN THAT DIED HERE PROTECT YOU FROM THE SAME TRAGIC FATE??? San Antonio, Tx is surrounded by many stories of ghosts!!! The ghost of the Menger Hotel, the Alamo, the Riverwalk itself, but none more famous than that of a tragic accident that killed a bus full of children! Many say these children...to this day....still try and protect others from the same fate that they endured. One telling of the legend takes place during the 1930s or 1940s (depending on the account), and according to this variation, a bus carrying students home from school was heading toward the intersection (Villamain and Shane). When it came to the railroad tracks, the bus stalled out. The bus driver then noticed a train barreling down on them, and the driver rushed to get the children off the bus. But there wasn't enough time, and the train crashed into the bus killing 10 of the students and the bus driver as well. The more detailed version, which explains the legend more suitably (in my opinion), begins much in the same way. Decades ago (late 30s/early 40s), on an especially dark evening, a nun was driving a school bus filled with children home after a field trip. They were heading down Shane road, but when approaching the railroad crossing, the bus abruptly stalled out on the tracks. Most of the students were sleeping, so she was quietly attempting to start the engine back up. It was then that a train emerged, seemingly out of nowhere, as its headlamp was burnt out, it offered no warning of its impending arrival. It was too late to evacuate the children, as the train was moving too fast. The nun, desperately and frantically, turned the key, making one last attempt to restart the bus just as the train smashed through the bus cutting it in half. The nun was thrown through the windshield but miraculously survived. The young children were not as fortunate—they were all killed instantly. A few weeks later, the nun, guilt-ridden and heartbroken, returned to the site of the accident. She was unable to continue on and thus decided to end her life. She parked her car on the tracks and sat there waiting for the next train to come along. Later, when a train came into sight, speeding down toward her, in the same way as that tragic night, the nun began to hear small familiar voices. Then, her car began to move forward, as if it was being pushed from behind. The nun's car was rolled to safety, just as the train roared by. In disbelief the nun got out of her car, and began looking around expecting to find a good Samaritan. She saw not a single soul. She looked back at her car and noticed children-sized handprints on the back of her trunk. It was then she realized that the ghosts of her students had saved her life. The nun was then blessed with a newfound purpose in life, and she opened a school for orphans. She taught there till the day she died. It is said that to this day, if anyone parks their car on or near the railroad tracks at Shane Road, ghostly children will push the vehicle to safety, as they are determined to make sure that no one meets the same gruesome fated that they suffered. This legend has grown so much over the years that tourists travel from all over the country so that they may bare witness to this phenomenon at the rail road crossing on Shane Road. Some will sprinkle baby powder on the back end of their car, so that they can more easily spot the hand prints after their vehicle is pushed off the tracks, just as the nun's car was so many years earlier. While there are many skeptics of this occurrence, one person who tested the legend was Brenda Pacheco: "I put my car in neutral, took my foot off the pedals and the car moved! It moved quickly toward the tracks, up over the bump and down the other side, well out of harm's way!" Pacheco also did the baby powder test: "I was so excited, I got out to check the back of my car and there were the tiny hand prints! Plain and clear, and so, so tiny! The prints were so perfect, you could see the lines of the palms, and the swirls of the fingerprints!" Another person's encounter at the railroad tracks: "I know many dispute the legend of the railroad track ghosts. However, I was witness to one very indisputable event there in my late teens, early 20s." She goes on to recall her experience at the railroad tracks, "I once went over in my convertible with a new parakeet in the car. The bird had been chirping happily, until we staged the vehicle for the tracks, when suddenly his chirping was completely silenced. It wasn't until we left the area that he began to chirp again." Curious by her bird's reaction, she decided to try the baby powder legend out for herself: "I used the baby powder on my car, I had multiple small hand prints. But, these hand prints did not belong to me, and I had no children anywhere around my car previously and was extremely meticulous about the appearance of my car." She then points out, "When one washes their car with dish soap, oils from hands are removed, so no prints will remain." Many locals have made claims they say that you can hear the rumbling sounds of a train nearing, the steam whistle howling, and the screeching of wheels as if the train is grinding to a halt, but nothing ever appears, nothing is there at all, except for the haunting chill of the night. A popular story locals will tell you occurred not long after the horrific crash. It involves a woman who was driving down Shane Road late one night. As she approached the railroad crossing, she saw a little girl standing all alone on the side of the road. She immediately stopped, pulled over and offered the girl a ride home. 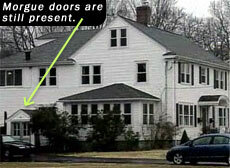 Once they arrived at the girl’s house, the child was hesitant to leave the vehicle and head inside. The woman assumed that the girl must have ran away from home after a fight with her parents. So she told the girl that she would speak to her mother. When the woman got out of the car, she looked back to give the girl a reassuring smiling, but she had vanished. The woman quickly reopened her car door, but no one was there—however the seatbelt was still fastened. Another eerie account, which happened more recently, took place one weekend when a girl and a couple of friends made the trip to San Antonio to see the haunted railroad tracks. The girl took numerous pictures and emailed them to her mother. The mother was shock to discover that in one of the photos there appeared to be a ghost, a ghost of a little girl holding on to her teddy bear. The truth has been debated in San Antonio, with both residents and law enforcement officials weary of the legend. There have been countless reports of cars appearing to move on their own, with mysterious childlike prints showing up on vehicles afterward. Some have also allegedly heard the voices and laughter of children while at the railroad tracks. However, despite these stories, there are no records of any accidents ever occurring on the railroad tracks in San Antonio. Some believe the legend was inspired by another fatal accident that happened on December 1st, of the year 1938, far away in Salt Lake City, Utah. The city was dealing with blizzard conditions, and a school bus carrying over twenty students (aging from 12-18), was attempting to bring the kids home safe when the bus stalled out on the railroad tracks just as a fifty-car freight train came hurling their way. The aftermath was grizzly, with every soul on the bus left dead. Is it possible that the news coverage of the Salt Lake City's crash became blurred overtime with San Antonio folklore, with later generations adopting the story as their own? If that is the case, why aren't there other similar stories throughout America? And, why are there so many first hand accounts at the railroad tracks in San Antonio? Maybe, you should make the trip out to San Antonio. Travel down Shane Road toward the Railroad crossing and experience the phenomenon for yourself. If you do, keep in mind that many visitors bring gifts for the ghostly children, such as, crucifixes, rosary beads, flowers and toys. Some even write messages on the railroad tracks, wishing the children peace. Hopefully, one day the ghost children of the track will find peace and cross over.